It could happen to anyone, even the most prepared and cautious travelers. Halfway through your trip to Europe, your wallet – along with your cash, ATM and credit cards – have gone MIA. A wave of panic comes over you—if only you had remembered to pack that stash of cash and an extra credit card in your carry-on! So what now? It always helps to know where to turn in the event your trip goes bad, especially when you’re in a foreign country. Luckily, there are some things you can do if you need emergency funds while traveling abroad—read on! Most U.S. financial institutions provide 800 numbers to their customers. While this may be the best option for dialing within the United States, you cannot dial 800 numbers while abroad. Most banks will allow you to call collect from abroad but if you’re an On Call member, we can call you at your hotel or current location to save the expense. We can then conference you in to any banks or credit card companies to cancel the missing cards. Depending on the financial institution and your location, new cards can also be rushed to your location, but this could take up to 2-3 business days. 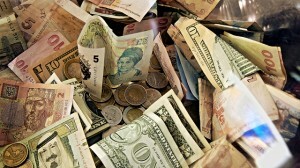 If you require cash immediately to continue your journey, contact ACS, which is part of the U.S. Department of State. Every consulate has an ACS department, which can provide emergency financial assistance for U.S. citizens abroad. The ACS can help you reach someone back home in an emergency and even act as a conduit so you can have money wired to you. Those traveling overseas can call +1 202-501-4444 and also visit the ACS section of the U.S. Department of State’s website. You’ll most likely need to make an in person appointment at the nearest U.S. Embassy in the country you’re visiting (for a complete list, click here). Generally, appointments are available Monday-Friday mornings (excluding Federal Holidays) and there are no walk-ins allowed. On Call members: We can save you time and get you on your way even quicker! We can contact your family, friends, employer, university etc. 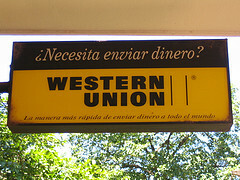 to secure the funds and wire the money directly to you through Western Union—you can pick up the money at one of Western Union’s many pickup locations worldwide. You don’t have to have an item lost or stolen to require emergency funds assistance. In fact, there are some locations (such as hospitals) that don’t accept foreign credit cards or cash. Some foreign hospitals may even require payment up front before admitting you for treatment! If you find yourself in this situation, On Call can secure funds and provide payment to the facility via wire transfer, Western Union or even in person with local currency via our local contacts. Regardless of why you need emergency travel funds assistance, it’s safe to say that you shouldn’t leave home without your On Call card!